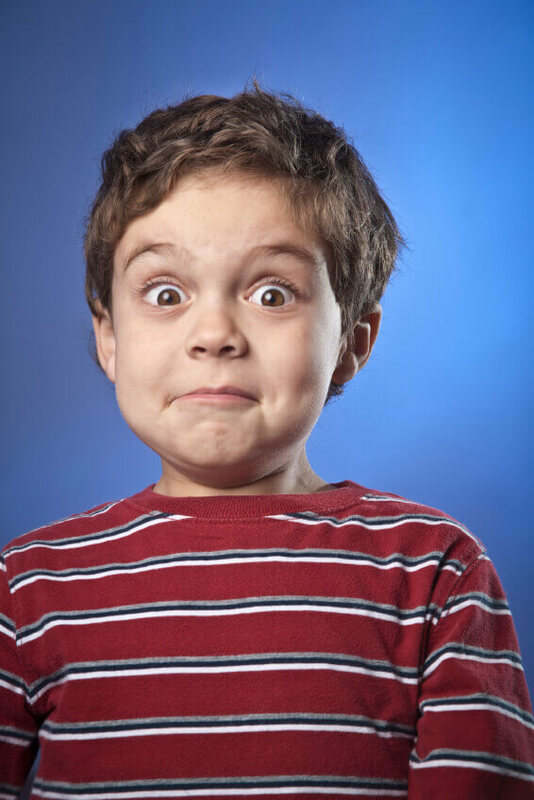 Google Search Console: How Many Types of Sitemaps Are There?! 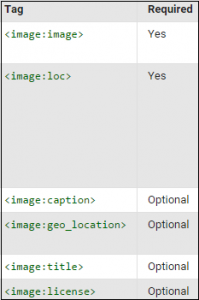 Home » Blog » Google Search Console: How Many Types of Sitemaps Are There?! I was surprised when I really thought about how many different types of Sitemaps should be implemented too. In Part I of this blog series, I covered what Google Search Console can do for you and how you can use it to help your business. Going more in-depth with Part II, we’ll discuss Sitemap capabilities (one of the most commonly used Search Console features), how to make it work for you in regards to SEO, and that it isn’t all about the regular ol’ main domain XML Sitemap anymore. Well, it isn’t ALL about the main domain XML Sitemap, but you still need to submit the www. version of your website to Search Console for indexing by the search engine bots and to see if any issues arise. 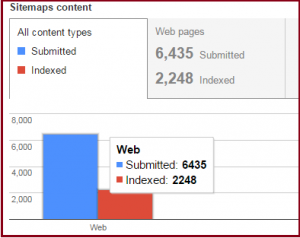 This is typically the Sitemap submission webmasters know about and are in the habit of submitting in Search Console. Go under the “Crawl > Sitemaps” tab, and click the red “Add/Test Sitemap” button to get started. In addition to your main domain, we usually recommend setting up separate Search Console properties for your various subdomains. For example, if your company’s online store is at store.yourbrand.com and your Q&A product forums are at forums.yourbrand.com, you would want to have separate properties set up in Search Console to manage both, as well as any others you may own. Once you have each property set up, submit the specific subdomain’s XML Sitemap. While setting up separate subdomain properties isn’t a must, it helps you manage your website properties properly for errors/issues and also ensures that Google is indexing subdomain pages. Do you have separate websites targeted to different countries or languages? You need to be sure Google understands and indexes these sites correctly so that they can show the proper pages in search engine result pages (SERPs) based on the users location and language. Google provides a lot of information (though not altogether straightforward) on how to correctly target multiple countries. I could write an entirely separate post just covering international / language Sitemaps, but below are two common implementation strategies recognized by Google. Let’s say that you have English, Italian and French language pages with separate URLs; you can use rel=”alternate” hreflang=”x” tag attributes in your Sitemaps to help Google serve the right language URL to searchers. A code example can be found here. 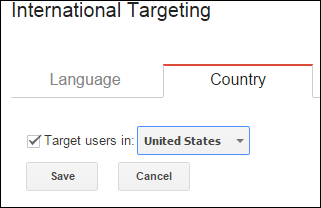 Use Search Console’s International Targeting tool (under the Search Traffic tab) to tell Google that your site is targeted to a specific country/language. This lets them provide higher quality and more relevant pages on their SERPs in different countries. This option should only be used if your site is targeting a single country. In 2014, the number of hours per day digital video was watched increased an average of 57% among all age groups year-over-year. What does that mean for your business? You need to have your videos indexed and able to be found by users who are interested in the content you are producing. The best way to make that happen from an SEO perspective is to have a separate video Sitemap or include video information in an existing Sitemap. It may be easier to manage if they are separate, but that decision is up to you. Including your videos in a Sitemap helps Google discover what they may not otherwise be able to see through their normal crawling process. You can add information to video Sitemaps about the content – video title, how long it is, video description, etc. – which, if provided to users, may encourage them to click-through and actually view it (which is the goal, right?). Video Sitemaps must include the following about each specific video: title, description, playpage URL, thumbnail URL and the raw video URL or URL to Flash video player. Without those, Google can’t show your videos in SERPs. To implement, you simply need to add image tags. Are you reading through all of this information and thinking about the work you need to get started on? If so, or if you are just in the business of managing multiple Sitemaps for your company, then I would recommend using a Sitemap index file. This strategy is great for multiple Sitemap management and allows you to submit all of your Sitemaps at once to Google. Lastly, make sure once you create or organize all the beautiful Sitemaps listed above that you submit them to Google via Search Console. Just because you create them and put them out there, doesn’t mean Google will find, crawl and index them or put them right in front of users searching. You need to do your part by setting up and monitoring Search Console properties and making sure you are on top of any errors, issues or new developments that arise. Have you had experience or troubles with Sitemap implementation? Share your experiences with me!